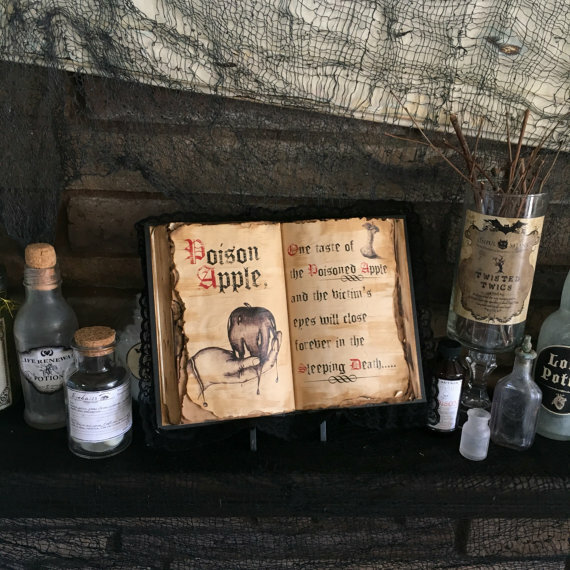 This handcrafted Poison Apple spellbook is by Craft Menagerie in California. The book is meant to be displayed open as a decoration, so the rest of the inside of the book is just random content. 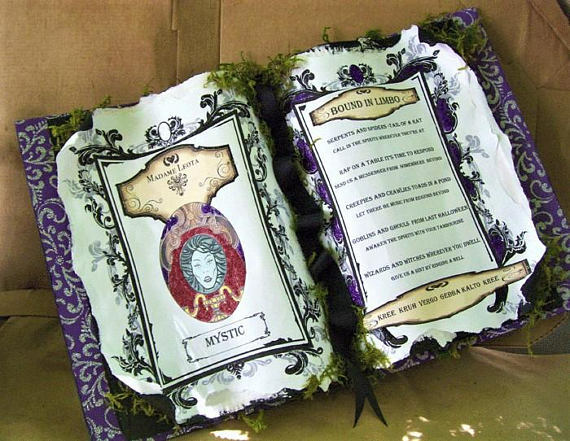 The spell book is made with paper, lace, and fabric. 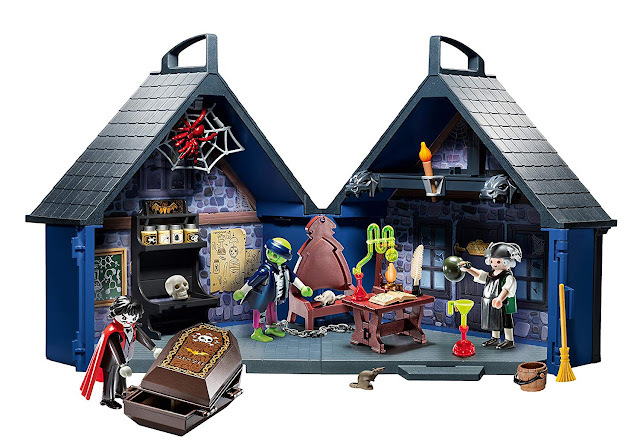 Check out this really cool Haunted Mansion Halloween spellbook prop! Note that Madame Leota's hair glows in the dark - so cool! The book is a decoration and does not close. It's by Witch on Wheels in Connecticut. 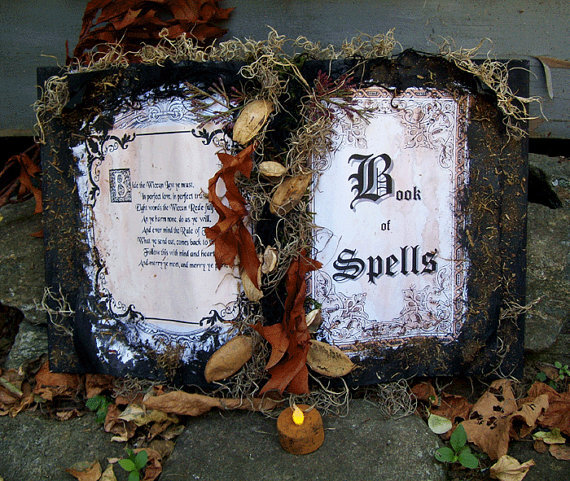 Witch on Wheels also created this intricate primitive witch spellbook to use as a Halloween decoration. This Halloween spellbook prop is meant just as a decoration, so it's been sealed shut. It's handmade by H. Baker Studio. 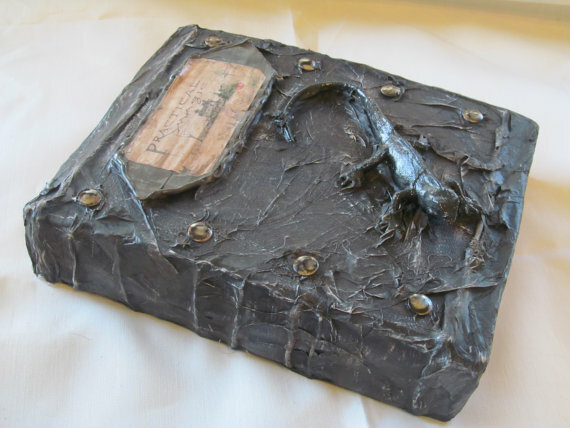 This handmade papier mache Book of Magic opens to store your jewelry, stationery or keepsakes. It's sold in the Curious Goods by Janie D. Mattern shop on Etsy. 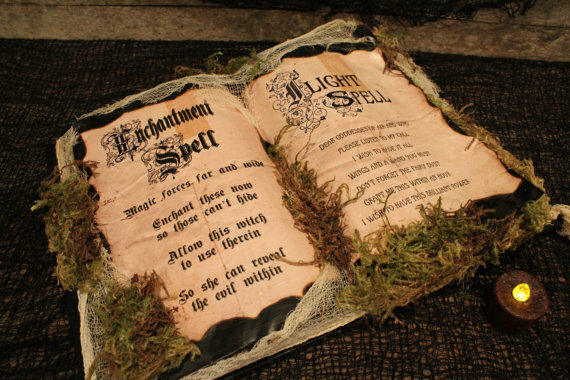 Haunted Moon Emporium crafts lots of great Halloween spellbook props. My favorite is Enchantment Spell book. 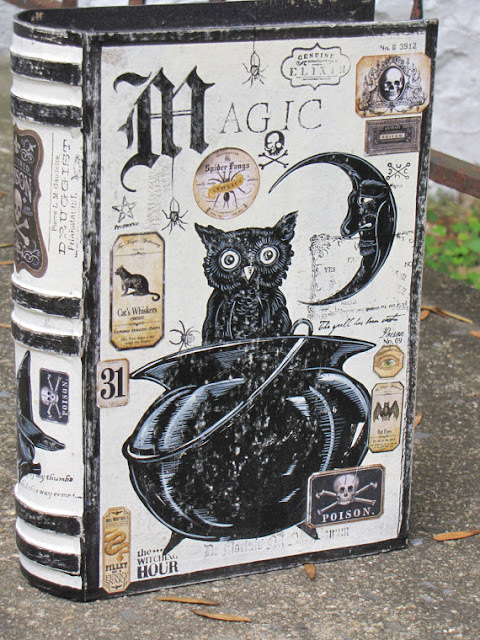 Lastly, here's Pier 1's hand-carved resin Halloween spellbook. 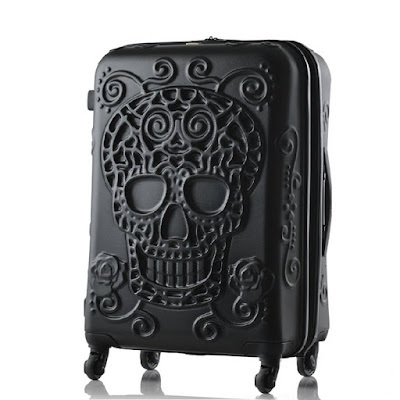 Love the skeletal hands holding it open!